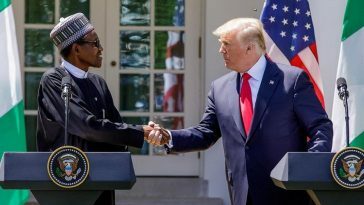 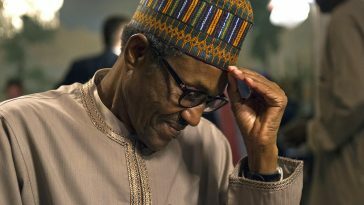 With his countrymen from all sectors including Youths, Politicians, Businessmen and women heavily criticizing the president for his unfortunate speech about his country’s Youth been Lazy and not hardworking whatsoever, the Nigerian president seems to be enjoying himself and less bothered. 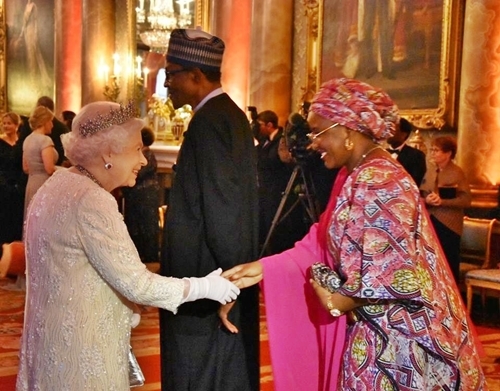 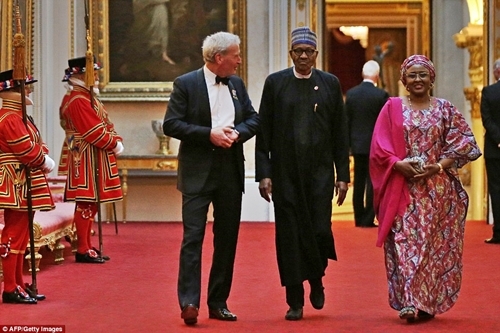 President Muhammadu Buhari and his wife, Aisha Buhari, were in attendance for the Queen’s Dinner during The Commonwealth Heads of Government Meeting (CHOGM), at Buckingham Palace in London on April 19, 2018. 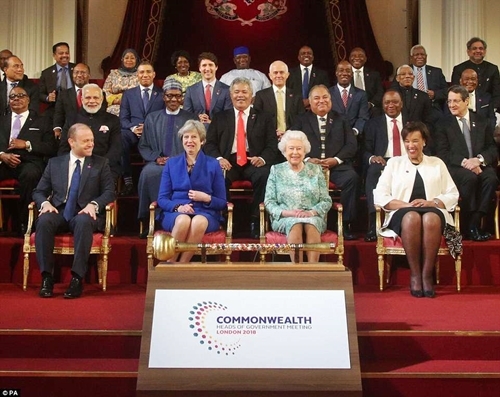 Britain’s Queen Elizabeth II, accompanied by Britain’s Prince Charles, Prince of Wales, received Commonwealth Heads of Government and their spouses in the Blue Drawing Room, where the evening commenced with a drinks reception. 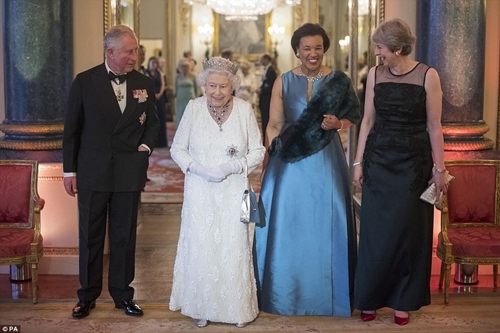 The dinner took place in the Picture Gallery where Her Majesty gave a speech.